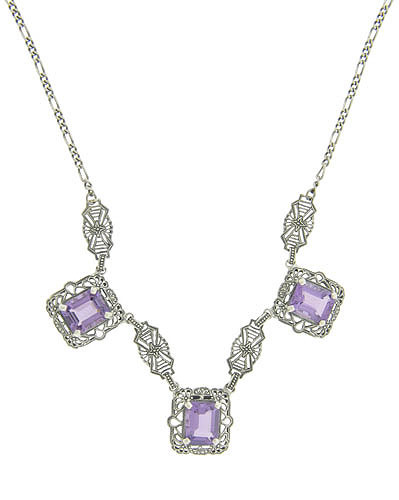 This lovely reproduction sterling silver necklace has 3 emerald cut amethyst stones mounted in sterling filigree settings. The amethyst mountings measure 1/2" wide, all three stretch to approximately 4" in length. The chain measures 17" in length.